Hallmark Kids’ Sunday Morning Bible Study Groups are a great time for our children to learn God’s Word and fellowship with other children their age. Our teachers take special care to teach our children the Word of God through our curriculum: The Gospel Project. These lessons provide the kids the big picture of God’s story of salvation. Hallmark Kids Children’s Worship is a great time for kids in Pre-K-3rd grade to worship. Our worship includes all the elements of adult worship (singing, prayer, offering, and teaching), but presents them in a way that kids can understand. Each Sunday the service is intended to reinforce what the kids learned in their Bible Study Groups. Pre-K-3rd Grade meets in room FC 204. One of the first things a parent needs to do when taking their child to Hallmark Kids is to check them in at our Kids Check-In station located in the Gym. Once your child is checked in, one of our Connection Team members will direct you to the class your child will be in. 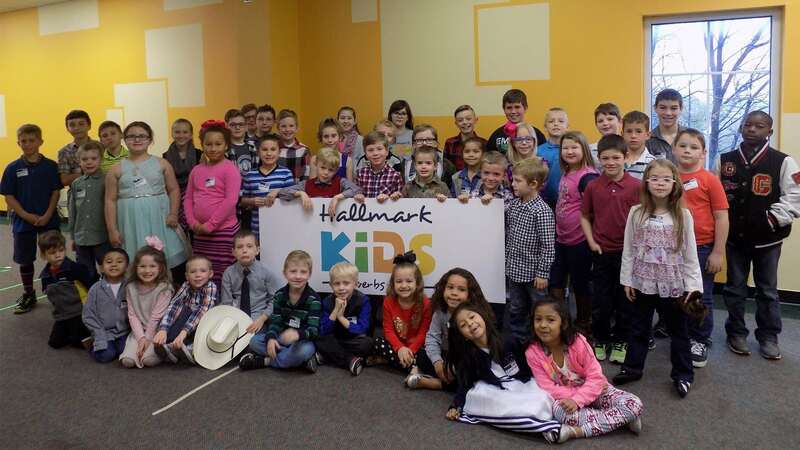 Hallmark Kids classes are in the Fellowship Center (gym) on our campus. This classroom will be the same location from which you will also pick your child up at the end of the service. Allison, our Children’s Director, sends out a monthly newsletter to keep parents updated on all the exciting things going on with our kids!